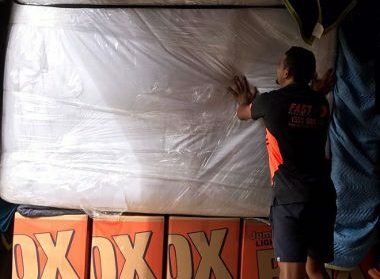 An interstate move is no mean feat and hiring professional Canberra to Gold Coast Removalists to handle it is the best way to go. We at Fast Removalists recognise exactly how important your home and all your belongings are to you. And when you opt for our services, you have the assurance that our team will safely transport everything without any damages or losses. 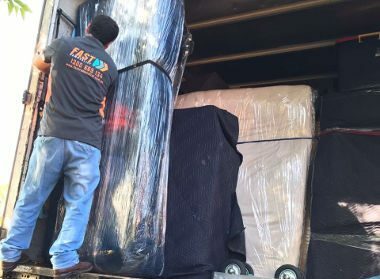 We have proved our mettle and built a reputation as one of the most reliable and safe interstate removal companies in the region. Whether you’re moving a single family home, a country house, an apartment or office, we can provide the services you require. Our expert staff is certified, trained and experienced enough to manage all their tasks well. Even more importantly, we encourage them to use their presence of mind and skills to make your move run as seamlessly as possible. That gives you the chance to focus on other things, and be stress-free. The team is skilled and fully-equipped to handle your removal requirements safely and efficiently. 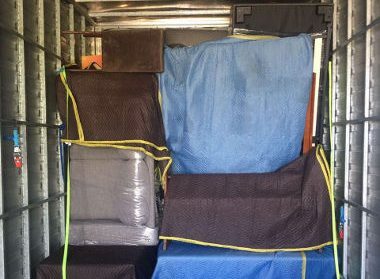 Our best Canberra to Gold Coast movers make sure your furniture and other possessions are well-protected at every stage of the move, so they arrive in the exact same condition they left the starting point in. A seasoned relocation consultant will carefully guide you through the entire process of the move. The technicians work meticulously and seamlessly and make sure the removal is completed on time. 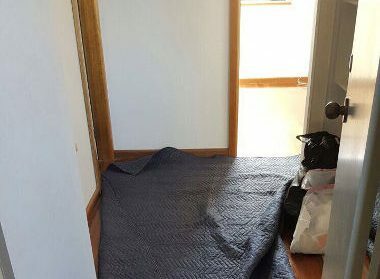 Our affordable Canberra to Gold Coast removalists and the professional furniture removalist ensure your goods are carefully monitored every step of the way. We also include various quantification measures that we have developed to streamline the removal for you. Using efficient and time-tested packing techniques, reliable facilities for transport, and state-of-the-art relocation methodology, we make sure that that your furniture and possessions always arrive safely at the new location. Canberra and Gold Coast are separated by almost 1120 km. Moving across this distance involves taking the Pacific Hwy/A1 route and crossing state lines. We know exactly what kind of hurdles and potential problems can arise along the way and are well prepared for all contingencies. This preparedness and attention to detail come from the 25 years of experience we have had in this industry. In this time, we have worked very hard to continuously improve our levels of service. We have also upgraded technology and adopted the use of the latest logistics and project management tools. This significantly increases the efficiency and safety levels of every project we handle. We take utmost care while handling hauling & transportation of all items and the risks of damage/ loss are almost negligible. Bur our company leaves nothing to chance. We pride ourselves on being the removalist Canberra to Gold Coast with insurance cover. In the rare event of any problem, your goods are covered while the move is in progress. This gives you the peace of mind that your valuable possessions are secure, and interests well-protected. 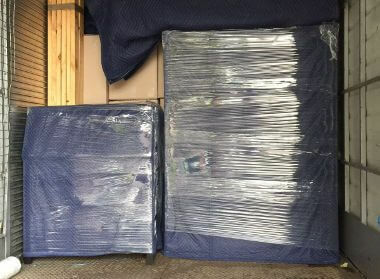 Packing supplies- We can provide a variety of packing materials and moving boxes for moving & storage such as plastic mattress sheeting and wrapping blankets, bubble wrap, packing peanuts, port-a-robes, tape labels, ink-free wrapping paper and more. Free moving boxes– We offer free service of cardboard moving boxes. Once you book an interstate removalist Canberra to Gold Coast service with us, you can use as many of the boxes as you need to pack all your things, making the transportation of goods easier for you. A very small bond amount is held per moving box for the service. We refund this to you in entirety once you are done using them and return all the boxes at the end of the process. Secure Storage services– Many clients require storage facilities during the course of the move. If you are redecorating your new place or need to store extra furniture before you dispose of it or find a suitable place for it, you can hire our short or long-term facilities for it. Our team will handle transportation to and from these storage units. You can rest assured that all your belongings will be safe at the access-controlled, CCTV- covered units. 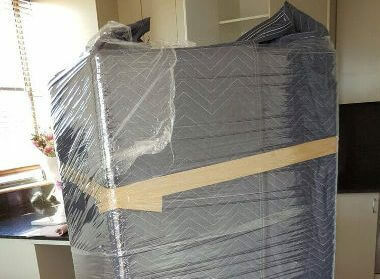 Safe and best furniture removalist company– Moving large and bulky furniture can be quite challenging and isn’t something you can entrust to a novice. This takes a significant amount of skill, use of right techniques and the latest equipment. We will dismantle and then transport the larger pieces like display units, cabinets, beds and dining tables. The smaller furniture will be a packed very carefully before moving. The high-quality furniture removalist team will securely strap everything into the moving truck and transport it to the destination. They will also reassemble the furniture at the final point and place it in the rooms as needed. This is ideal for clients that want to move very few things to the Gold Coast from Canberra. In this service, you book the amount of truck space you need and pay only for that much. Other clients moving their goods along the same route will book the rest of the space. Since you split the costs of transportation, it becomes a cheap Canberra to Gold Coast movers solution for you. If you want us to handle all aspects of the move and don’t want to lift a finger yourself, the full-service removal is for you. A partial removal includes loading, transport and offloading while you handle packing and unpacking yourself. We also offer customised small removals, furniture removals and special item removals for your pool table and piano moves. You can use the removalist cost calculator on our website for a tentative estimate, and then call us for a detailed, upfront quote. For the best Canberra to Gold Coast Removalists solutions call Fast Removalists today.